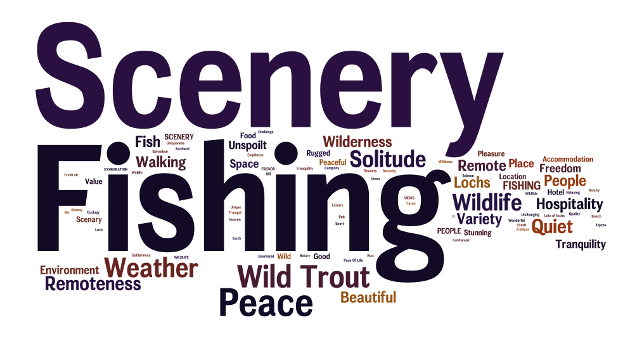 These two Wordle images represent responses from visiting anglers in our 2010 Assynt Anglers Survey. We asked them to write 3 keywords for both the best things about their visit to Assynt and the worst things about their visit. The size of the words represents the relative frequency of the response, the larger the word the more often it was used.